LG Mobiles has officially launched its first smartphone with a curved OLED display in South Korea. 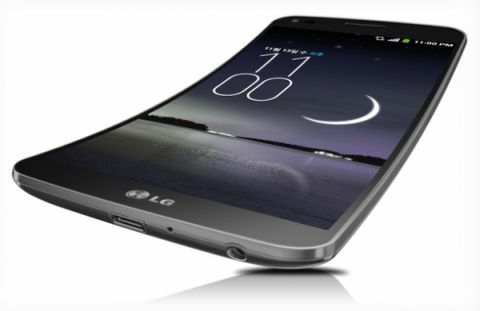 It comes with a 6-inch HD curved flexible OLED display with the resolution of 1280x720 pixels. The phone runs on Android 4.2.2 Jelly Bean operating system and powered by 2.26 GHz quad-core Snapdragon 800 processor. LG G Flex phone has 2 GB of RAM, 32 GB of internal memory and expandable up to 32 GB with microSD cards. The phone comes with a 13 megapixel rear camera with LED Flash and also a 2.1 MP front facing camera for video calls. It packs with 3500 mAh battery and it has the connectivity options are 4G LTE / 3G, Wi-Fi, Bluetooth 4.0, NFC and GPS. Already Samsung launched a curved display phone named Samsung Galaxy Round, but it curves from side to side, while LG G Flex curves from top to bottom. The power button, volume keys and loud speaker are present on the back of the phone. The phone comes with Self-healing technology that is a special material for the back cover and it removes the any scratches within minutes. Also it has some extra features including Dual window for multi-tasking, Face Detection indicator, Q-Theater gives quick access to photos and videos, LG Knock-on guest mode, Swing Lockscreen for different unlock effects and more. 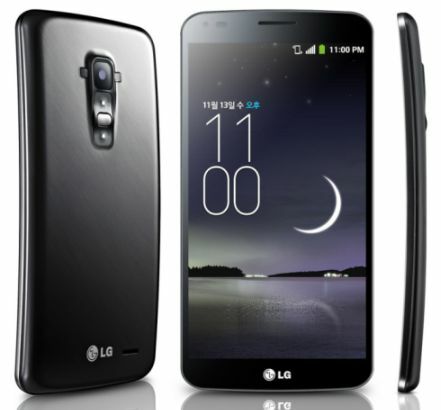 LG G Flex smartphone comes in Silver color and will be available in South Korea from next month. There is no word about pricing and international release.